A significant number of men usually experience skin irritation and pain during and after shaving their face. This is mainly caused by the kind of shaver that they use. Well, this led to the invention of electric shavers which are made for use by the people with sensitive skins. The shavers have excellent features that prevent the skin from getting irritation or getting bruised even after having a close skin shave. They are versatile as they are ideal for both wet and dry shave depending on the user’s preference. One thing to note though is that the electric shavers for sensitive skins are classified into two categories which are the foil and the rotary. Foil VS rotary which is the best option for sensitive skin? Remember that you are buying a shaver for either trimming or completely eliminate the skin hair and these two shavers have different effects when it comes to skin contact and shaving. The difference between the two shavers is found on the skin effect because they both have different features. This is the best shaver for the people who don’t want to have a complete beard shave or rather if you don’t want to get a close skin shave. This is because it is less gentle to the skin and a bit aggressive as well. So, it is mainly recommended for people who want to trim their hair on the sides or, for people who opt for a light shave. If you want to get a close skin shave, then foil shaver is the right choice for you. This is because the shaver is crafted with skin-friendly features that ensure that even when you get a close glide to the skin, you will not develop any irritations. It can be used for a daily shave and you can run it on various sensitive parts of the skin like the chin or the neck. So, if you want the best shaver for sensitive skin for either trimming or bald shaving, the foil is the perfect choice for you since it is crafted to reduce skin sensitivity even after shaving close to the skin. 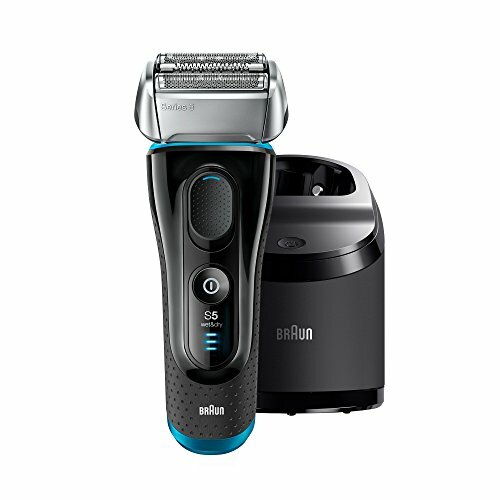 If you are looking for a safe shaver for either eliminating all the hair or for trimming proposes, Braun series 7790cc is just the perfect choice for a shaver. This is recommended due to its versatility as it can be used as a foils shaver and a razor shaver. The shaver is designed for use by all people since it quickly reads and adapts to the beard being shaved. Meaning, whether you are a black man or your facial hair is soft, the shaver will work just fine. It has a sharp blade and powerful motor that allows you to shave multiple hairs with one stroke thus reducing irritation on the skin. The shaver features powerful parts such as the sonic technology which is ideal for capturing all the hair on the face regardless of the size and shape such that even if the hair is lying on the skin, the device can still easily capture it for a shave. It has a 10, 0000 c micro vibration which makes it easy to capture even the tiniest hair on the face. The device has an auto-sense which makes it adapt to different densities of beards being shaved. What I love about the shaver is that it is a straightforward device e that anyone can work with including a beginner. It is equipped with one push button that makes it easy to control the shaver for a slow or even faster shave depending on the user’s needs. It is cordless thus allowing you to shave from anywhere, and it is usually packed with a charge station for charging. Bruan 7 790 cc series is a reliable shaver that you can use for both wet and dry shaving. It is suitable for travelers as well as it allows you to shave from anywhere and has a carrying pouch for easy travel. The shaver is versatile and this makes it ideal for all people including black men as it adapts to the beard being shaved. Shaves all kinds of beards. It is cordless allowing shaving from anywhere. Comes with cleaning and charging station. Ideal for both wet and dry shave. The cleaning station does not do a perfect job. The razor cannot be used with shaving gel. The shaver is specifically designed for use by people with skin sensitivity because it functions well and moves smoothly on the skin. The shaver can be used on any kind of beard as it automatically senses the dense and texture of the beard for better and efficient shaving. The shaver has a total of 8 direction comfort flex head which makes it safe for use on all skins since it provides comfort and reduces irritation when shaving. It is suitable for both wet and dry shave plus you can comfortably use it with a shaving gel or cream for maximum efficiency. When it comes to cleanliness, the shaver is packed with all the cleaning tools to make sure that all the hair and other residuals are eliminated from the machine for hygiene purposes. The motor and the blade are powerful such that one only makes a single stroke at each turn. It is easy to use the shaver since it operates with one button and this includes the cleaning which is operated with the same button as well. 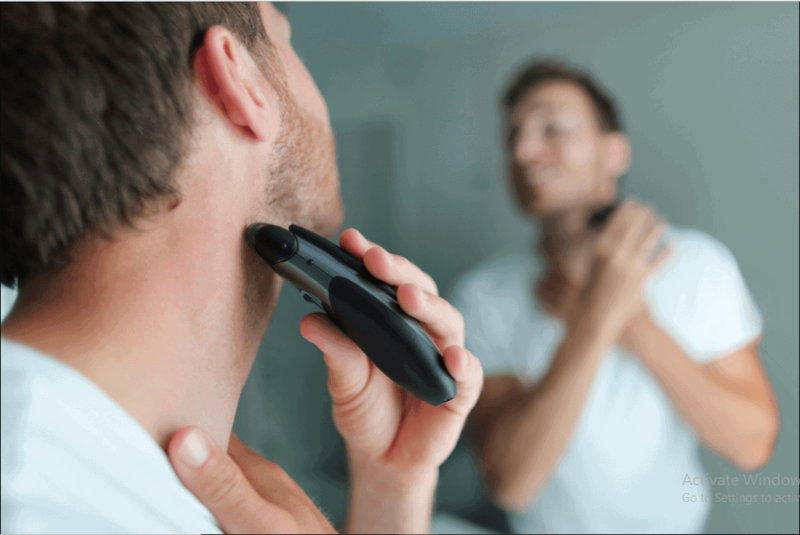 The shaver is the most suitable one for people with sensitive skin since it is made with features that fully protect one’s skin when making a close contact shave. The shaver can be used for trimming and complete shaving in all sensitive areas and this includes the neck. It is easy to maintain since it comes with all the cleaning products including the solution which can last you for almost two months. Although this model is a bit pricey, it is all worth it due to the great features it has. Note that this shaver is ideal for foil shaving as it allows comfort when running it close to the skin thus reducing irritations and pains when shaving. Comes with different cleaning options. It is waterproof allowing you to use shaving products. Adapts to different dense of beard for a better shave. It comes with a charging station and pouch for easy carrying. It is easy to operate the machine. Suitable for a wet and dry shave. It is quite expensive as compared to other brands. The Philips Norelco shaver is suitable for both wet and dry shave and its waterproof built allows you to use it in the shower. whether you want to get a complete shave or just a trim, rest assured the Phillips Norelco will do just that without causing any irritation or cuts on the skin. The blades on the shaver are made with skin protection features which ensure a smooth glide on the skin without causing any bruises or irritations. It is made with waterproof materials hence allowing you to shave with a cream or shaving lotions. The other thing that I love about this shaver is the fact that it works like a magnetic. 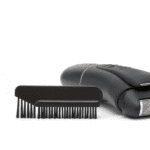 The shaver automatically senses the areas with hair including the ones lying flat thus trapping them for an easy cut. It is versatile as it comes with a trimmer which is ideal for the sideburns and for people with a mustache and it shaves bald too. The presence of the aqua technology allows you to have a dry or a wet shave depending on your preferences. The blades are quite sharp to give the best close shave and they are durable such that it will last you for a whole year before you consider replacing it. The cleaning dock cleans all the blades after every shave and lubricates them as well. The device has an LED notification which alerts you when the battery is about to die and it automatically shuts off when the battery is full to prevent overcharging it. For the quality assurance to the customers, the device is packed with a two-year warranty. This is the easiest shaver to maintain since it comes with cleaning dock that ensures all the blades are thoroughly cleaned and lubricated too after every use. It is easy to use and suitable for different shaves which include trimming of the sideburns and mustache. The shaver protects your skin when shaving such that even after the shave you will not experience any irritation whatsoever. It has a durable and sharp blade. It is versatile to give a complete shave and a trimming effect. It is safe and easy to use for all skins. Traps and adapts to different hair dense. Comes with a self-cleaning dock. The head replacement is expensive. The battery indicator only shows when the battery is about to run out of charge but it does not show the remaining charge percentage. 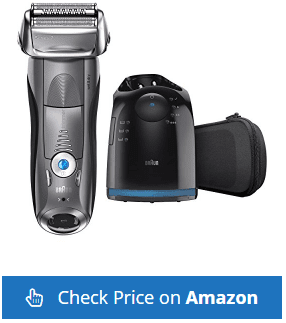 If you are looking for the safest electric shaver that you can use even on the most sensitive parts of the face such as the neck and the chin then you can never go wrong with this Panasonic model. The features and the built also make it stand out. The shaver has four blades and a dual motor that gives two different shaves. The first shave is the linear shave whereby the blade is powered to give up to 14000 cuts in a minute and the other one is cross-cut whereby the blade gives up to 56000 shaves in one minute hence saving your time. The shaver is quite powerful since it is able to capture any texture and form of hair to give you a smooth and clean shave at the same time. So, even if the hair is lying on the skin, the motor vibrates the arc four shaver both in up and down form to enable you to shave off all the hair. The Panasonic shaver offers foil shaving option whereby it allows you to cut all the hair even on the sensitive and delicate areas like the chin, chest, and neck without causing any irritation. This is a versatile shaver since it allows both wet and dry shaving hence if you want to shave your beard before you hit the shower or when showering, the shaver is comfortable to use during either time. The shaver has a pop-up trimmer for those who don’t want to shave off some parts of their beard such as the sideburns or even if you have a mustache. This is the best shaver to use as it allows contouring of hair in these parts of the skin. The handle of the shaver is made with an inbuilt LCD screen that notifies you when the battery is running low, when cleaning the device and when to change the blade. It is versatile. (Can be sued for complete shave and trimming). Can be used for the wet and dry shave. It shaves pretty quickly.• Has an LCD screen for notification purposes. The battery takes less time to charge. Does not come with the cleaning tools and solution. The cleaning process may take a while to complete. This is one of the most recommended shavers for people with sensitive skin as it does not cause any irritation or even bruises while shaving. 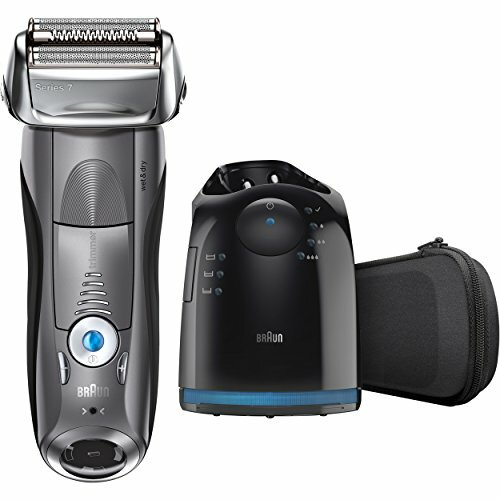 The Braun series electric shaver is equipped with a total of three pressure-sensitive shaving elements that ensure that your skin does not get any cuts while shaving. The other excellent feature that a lot of people love on this shaving device is the wet and dry shaving option. This allows you to have a smooth cut while in the shower or even after or before showering depending on your preference. This model has been upgraded from the previous model whereby it has been added the motor comb feature to allow one to capture a large amount of hair at once. This means that even if your hair is lying on the skin, this great shaver will ensure that you have smooth shave within a few strokes since it captures all the hair on the skin. It is quite easy to shave with it as it only features one button for control purposes. So, even a beginner can safely and comfortably shave using this magnificent shaver. It is ideal for a both wet and dry shave. It captures lying hair on the skin. Allows foil and trim shave. The shaver does not come with a charging dock. It does not come with the cleaning equipment. If your skin is sensitive such that is develops irritation, ingrown hair, and pain whenever you shave with an electric shaver well you might as well change the kind of shaver you are using. There are hundreds of shaving devices on the market for one to choose from and it can be a bit tricky for those with a sensitive skin to determine the right one to choose. One major benefit of using an electric razor for shave instead of an actual razor is the fact that it does not touch the skin directly thus making it safe for use by people with sensitive skin. But, on the other hand, keep in mind that not all electric razors will work for you thus the need to focus on the features available to ensure your safety. The motor is the part that fuels or rather empowers the blade. Therefore, if the motor is able to move at a fast rate, then the blade will be able to comfortably cut off the hair without having to pull it. This in return allows you to have a smooth and continuous shave. Keep in mind that some shavers are sold at a varying speed which ranges from slow to high speed. Hence it is upon you to select the best speed that will work for you. The state of the blade also matters. Even if the motor is moving at a high speed, the blade still ought to be sharp enough so it can make a good and fast shave as well. A sharp blade allows you to make multiple cuts at a go hence preventing you from getting irritation and scratches which are caused by moving the blade on one part of the skin for more than one time. Also, it is ideal that you change the blade once you notice it is blunt or follows the manufacturer’s instructions regarding when you should change the blade. Note that some shavers are sold with an indicator head of when to change the blade once it automatically detects the blade is blunt. A shaver that allows you to shave either in the shower or not is a plus bonus since it is safe and reliable for sensitive skin. When shaving in the shower, one is able to use the shaving cream and lotions which makes the shaving process to be much easier and smoother on the skin. Also, a shaver that one can comfortably be used on a dry skin makes it safe since it is crafted with skin-friendly features to prevent you from cutting your skin. But, the choice between wet and dry shave will be determined by your needs and preferences as the user. Although both shavers are ideal for use on a sensitive skin, the most recommended from these two is the foil shaver. Why? This is because the shaver is designed for people who want to cut all the facial hair. Therefore, it is designed in a way that it will not cause any irritation or scratches when it is glided too close to the skin. The rotary is designed for people who don’t want to shave off the entire beard or for trimming the hair like on the sideburns or mustache. If you have a skin problem when it comes to shaving your beards, or in other sensitive parts of the skin like the chin and the neck, consider buying the above three reviewed shavers. They are purposely designed for people with sensitive skins as they feature skin friendly parts that allow you to smoothly shave. Make sure to check if the shaver you are about to purchase has the above-discussed features and also if you need a shaver for shaving bald, make sure it is a foil shaver as they are safer and suitable for close skin contact.